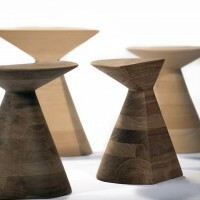 Mexican designer Héctor Esrawe has created the BAN stools collection. 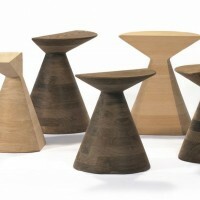 These stools evoke those used by the African cultures, as well as in America during pre-Hispanic times. They were symbols for status, tradition, religion and identity. They are developed from select, certified, solid walnut, tzalam, and beech wood, produced through a complex process of cutting, assembling and lathing by craftsmen, finished with natural oils. Visit Héctor Esrawe’s website – here.